I consider myself pretty lucky that I get to live in a town that hosts the most spectacular event, that in my opinion is so much better than the Olympics. What is this wonderful event that happens once a year and brings people from all over the world to? 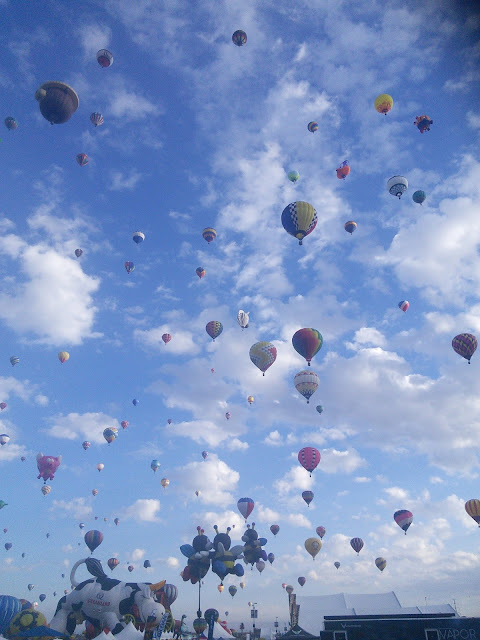 It is an event that has over 500 hot air balloons floating in the sky. I never get tired of attending the Albuquerque International Balloon Fiesta. This is an event that takes place in October for 9 wonderful days. Last year I was able to attend the event for five days and I loved it. 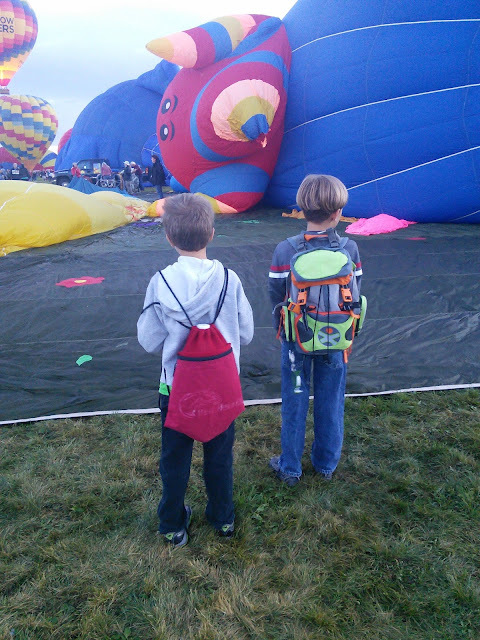 Now this is not your typical go watch the balloons float in the sky event. This is an event that allows you to see the balloons up close, so close that you could even touch one. Have you ever dreamed of riding in a hot air balloon? Come to the 45th Albuquerque Balloon Fiesta and you can fulfill that dream by either booking a balloon ride or signing up to be a to be a chase crew team member to have an opportunity to work for a free ride in a hot air balloon. I might just be brave this year and ride in a balloon even though I am scared of heights. My husband rode in one many years ago and he said it was an awesome experience. 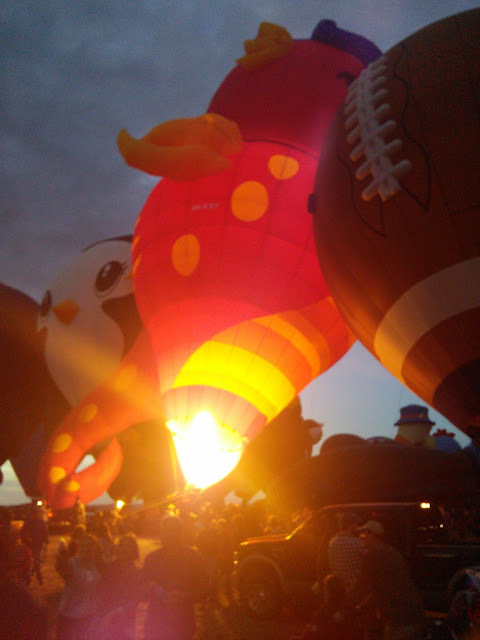 Have you ever seen a balloon glow? 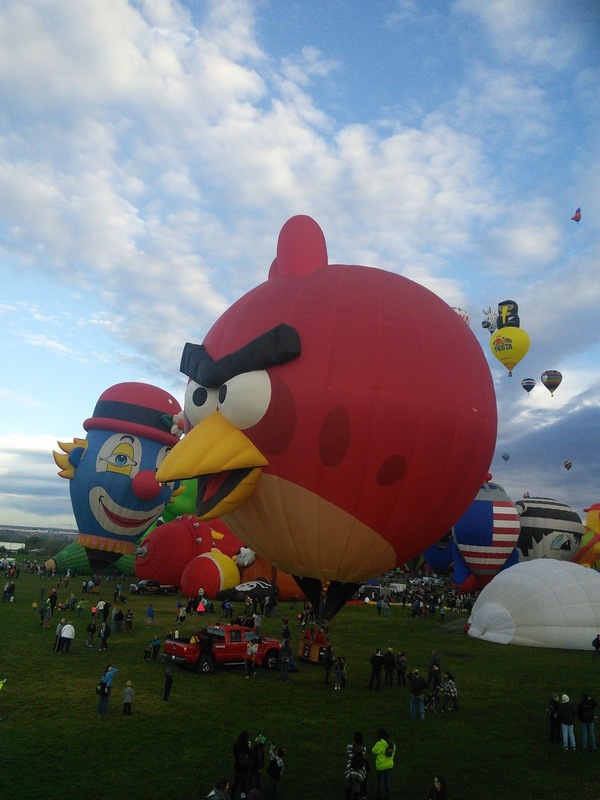 This is an awesome event that happens at night time during the balloon fiesta. Over 100 balloons light up with the help of the balloon burners. It is a sight to see as these balloons glow in the dark. The balloons stay on the ground and you can walk the field and view all the balloons up close. This event is so popular that hotels often sell out. 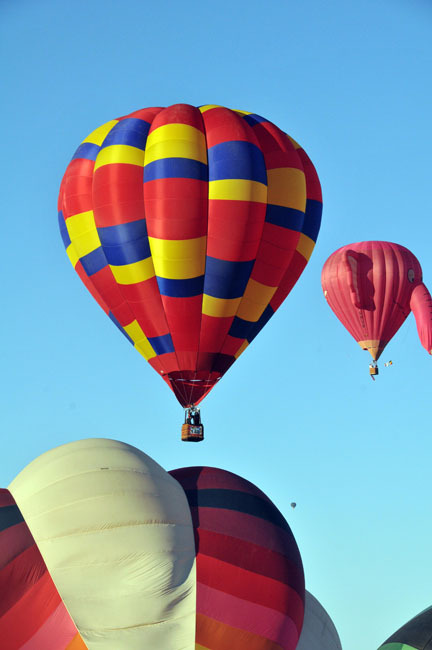 So make your reservations now to attend this wonderful event of over 500 hot air balloons and more. Go here to learn more and see more wonderful pictures. Will I be seeing you at the Balloon Fiesta this year?